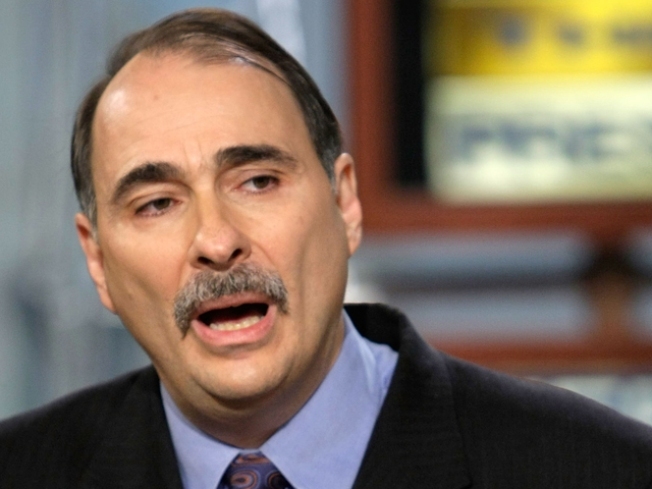 David Axelrod's firm paid him $897,000 last year, according to disclosure filings. As he prepared to take a job in the White House at the end of last year, David Axelrod sold the political consulting firm that helped elect President Obama for $2 million to a group of consultants who helped steer Obama’s campaign. According to a disclosure form released Friday evening by the White House, the firm, AKP&D Message & Media, paid him $897,000 last year, when it had basically turned itself into an arm of the Obama campaign, which paid the company $2.5 million. The disclosure indicates that Obama’s campaign manager David Plouffe—the "P" in AKP&D and still an influential political consultant for Obama and the Democratic National Committee—was not among the buyers, though he’ll remain a senior advisor to the firm. Instead, Axelrod reported the new owner is a "newly formed S-Corporation” owned by Obama campaign vets John Kupper, John Del Cecato and Larry Grisolano. Kupper and Del Cecato — the "K" and "D," respectively — handled research and for the campaign and also wrote many of its ads. Grislano is a Los Angeles-based strategist who handled direct mail for Obama’s campaign. Axelrod’s disclosure offers a peak inside the business model he used to create a Chicago-based consulting powerhouse, which included both AKP&D and ASK Public Strategies. ASK, which specialized in corporate public relations, paid him partnership income of $152,000 last year, according to the disclosure, even though he had taken a leave of absence to work on the campaign. Axelrod sold his share of ASK for $1 million at the end of last year to Kupper and Eric Sedler. The firm became the source of some controversy during the presidential campaign, when the Washington Post reported that in 2006, Michelle Obama urged the University of Chicago’s hospital, where she served as an executive, to hire ASK to drum up community support for a controversial urban health initiative. The Obama team disputed the Post’s account, asserting that someone else at the hospital initiated ASK’s hiring. A March BusinessWeek story highlighted how ASK established front groups for corporate giants including Madison Square Garden and ComEd to help sway public opinion on controversial initiatives in New York and Illinois, respectively. Entitled “The Secret Side of David Axelrod,” the story asserted that the firm was a master of “Astroturf” organizing — a practice the good government groups with which Obama worked closely in the Illinois state Legislature and U.S. Senate have lambasted as a way to skirt lobbying laws. Additionally, New York State lobbying records obtained by POLITICO show that Madison Square Garden paid ASK $1.16 million to lobby in 2004 — the biggest lobbying contract of the year in the state. Sedler in a November interview with POLITICO disputed that ASK engages in Astroturf lobbying and also asserted that, though ASK had to register as a lobby shop in New York, it actually didn’t lobby public officials, only produced advertisements on matters of public policy debate. According to Axelrod’s disclosure, ASK, which had never before published a comprehensive list of clients, also has represented power concerns Exelon, Commonwealth Edison Company, and Consumers Organized for Reliable Electricity, as well as AT&T, Bally Total Fitness Corporation and the Chicago Children’s Museum. In July 2007, ASK was hired to rally public support for a new facility for the museum, which was supported by Mayor Richard Daley, whose campaign since 1999 has paid $950,000 to the predecessor to AKP&D. The month before the museum hired ASK, Obama announced that he had requested a $1 million earmark. “We never asked for the earmark,” Sedler said in November. Axelrod also listed as an ASK client the committee seeking to lure the 2016 Olympics to Chicago, to which White House social director Desire Rogers, another member of the Obama’s inner circle, donated more than $100,000.